Expand search to view more listings in and around Ponte Vedra Beach. See more offices in and around Ponte Vedra Beach. Offices.net has 1 of office available in Ponte Vedra Beach. This prime office space is available now, and offers flexible rental terms to make the transition as simple as possible. Our service is designed to get you into the office space your business needs as quickly and easily as possible, and we will be happy to assist in any way. Offices.net offers businesses of any size a simple, quick and easy way to rent office space in Ponte Vedra Beach. Numerous office buildings we list have facilities like manned receptions, fast internet connectivity and telephones. This can help remove the usual process involved in setting up an office, and let you focus on getting up and running. Every office on our site has a page dedicated to it, which lists many of the features offered by each building. Click on any of the offices shown above to find out more about them, and if anything you need isn't immediately obvious please contact us and ask. Simply choose any of the Ponte Vedra Beach offices for rent listed above. 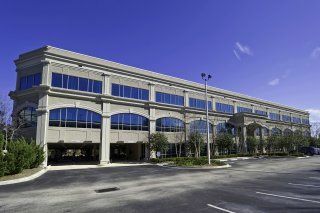 All of the office space and executive office suites are available on flexible rental terms to suit your needs and are located in prime Ponte Vedra Beach business positions. Whether you are looking for short or long term office space or the ability to expand and contract your operations as necessary, we are here to help. View the available office space on the site or contact us to discuss your company's specific requirements.